Product #20662 | SKU 023500-0000-110 | 0.0 (no ratings yet) Thanks for your rating! 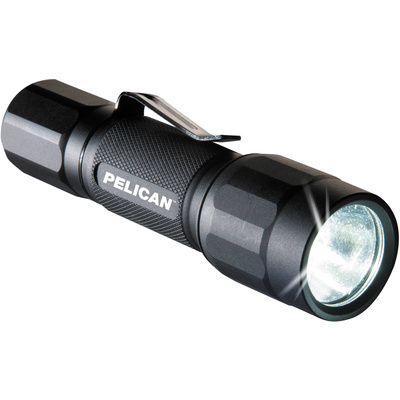 The 2350 LED Flashlight from Pelican is a compact illuminator built for everyday use and consistent performance. Use the low 15-lumen output for tasks like map reading, then switch to the 178-lumen high output for setting up camp or lighting a trail. A shroudless tailcap switch controls the momentary and constant-on modes, plus an emergency strobe for signalling. The aluminium housing has a scratch and corrosion-resistant black anodised finish with an anti-roll head. O-rings seal the light for IPX7 waterproof rating, making it submersible to 1 m for up to 30 minutes.